Muffin top is a common condition that most ladies experience with most of them thinking its uncontrollable. This condition is commonly associated with the consumption of excess sugars and carbohydrates without forgetting calories. Most victims having this condition usually have very few sleeping hours or even no sleep at all. Apparently, lack of exercises can be a major cause as many might think otherwise. A larger number of ladies in the US and UK including men and children are having this condition with most of them finding it hard to deal with the issues. 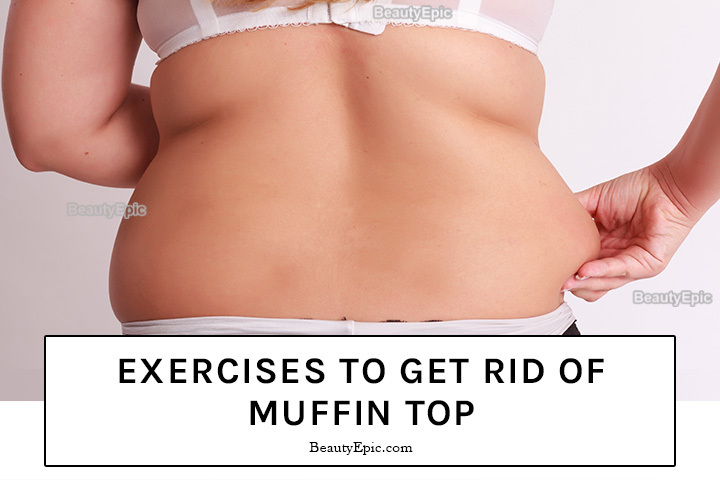 However, there is only one sure way to get rid of muffin tops and that is exercising regularly. Highlighted below are 6 best exercises that will keep you safe from muffin tops. Stand upright holding the hips with both hands on the sides. Straighten the left foot away as the body is going down then bend the right knee. Begin moving the body towards the bent knee as it stretches while leaning forward slightly. Builds strength in the lower body. Get on your fours with the palms down, knees lifted off the floor and the toes on the floor. Straighten the arms until the upper body is at the arm’s length and straight. Bend the left knee and start moving it slowly inwards to the right elbow and rest when they both touch. Fall back and do the same but this time with the right knee approaching the left elbow. Stretches the spine and the back. Cuts upper waist fats through deep contractions of the abdomen. Sit upright with the arms at a prayer pose. Bend both knees and let the heels support the legs. Lean back slightly and engage the core as you twist the upper body towards the left before moving back and shifting to the right. Strengthens internal oblique muscles and the whole abdomen. Lie the body flat on your back then lift the head with the upper back off the ground and place the hands behind the head. Lift both legs some inches off the ground and bend the left knee. Engage the core to balance the body then twist the upper body slightly to the left and rest at this position. Drop down and repeat the same with the other knee. How it benefits: It builds the strength of the core muscles. Lie on your back, join the legs and straighten them. Elongate the arms beyond your hand while keeping them straight. Lift the legs upwards to the ceiling and keep the hips off the ground. Lift the slightly off the ground and push the chest towards the lifted legs with the hands leading and stop when they make contact. How it benefits: Tones the abs and the upper hips muscles. Lie flat on your back with both the arms and legs straightened in the opposite directions. Let the arms take the body’s width and join the legs. Move both the tailbone and the upper body off the ground at the same time with the hips acting as the pivot. Make several moves then drop down. Builds the strength of the back muscles. Practice the above exercises to fight obesity by getting rid of muffin tops. 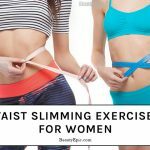 There is only one sure way to get rid of muffin tops and that is exercising regularly. Highlighted below are 6 best exercises that will keep you safe from from muffin tops.